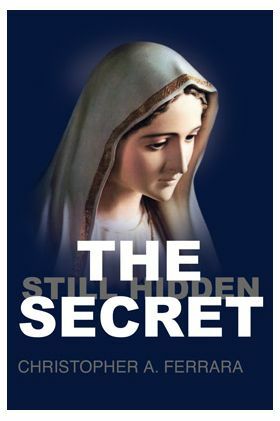 Christopher Ferrara The Secret has two parts, as Pope Pius XIIs own investigator revealed, one of which contains words of the Virgin that are not found in the published vision. This book is the first full-length examination of the grounds for rejecting Cardinal Bertones version of the facts in the Third Secret controversy. 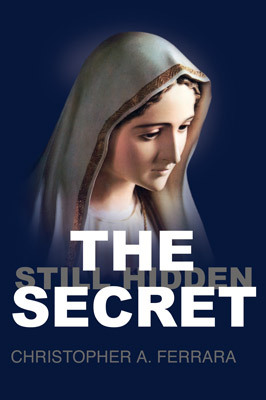 The Cardinals own statements, including his book and radio and television broadcasts in 2007, are shown to demonstrate beyond any doubt that a text of the Secret has been suppressed, evidently under an unjustifiable mental reservation that the text is not authentic. Softcover 248 pages.